A unique collectible sure to stand out in your kitchen cabinet, it's the Beatles Band Photo 16 oz. Sublimated Pint Glass! 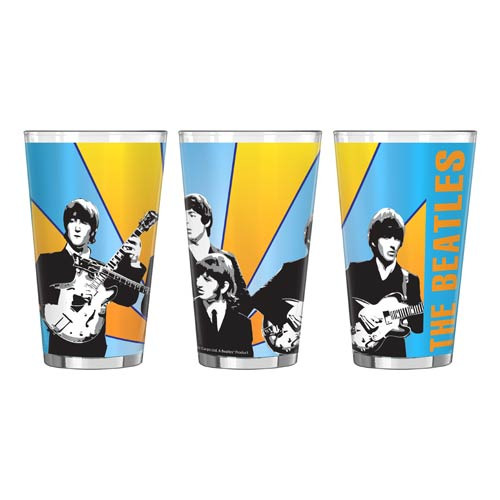 The art stretches all around the pint glass and features John Lennon, Paul McCartney, George Harrison, and Ringo Starr playing live with blue and yellow streaks in the background. The pint glass holds up to 16 ounces of the beverage of your choice. Hand wash only. Not dishwasher safe.